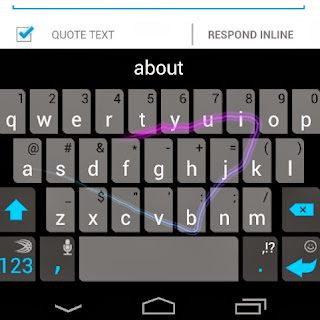 SwiftKey Keyboard by SwiftKey - Android App Review. 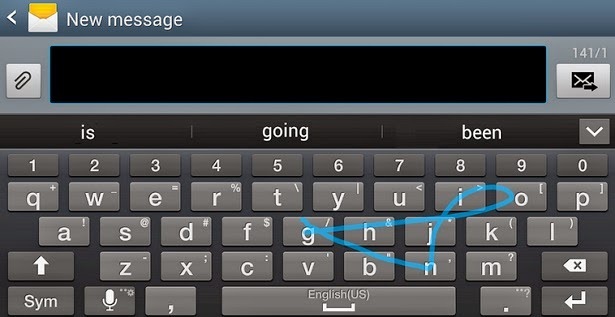 A very interesting and useful keyboard app that replaces the built in Android Keyboard and allows (or is supposed to allow) faster and more accurate typing along with a prediction engine that tries to predict the end of the word you're typing and the next one as well. A lot of features, from different keyboard layouts to prediction engines to cloud syncing to enable seamlessly moving between devices to taping or flowing with the keystrokes, SwiftKey Keyboard is surely one of the more complex and feature rich keyboard apps for Android. But, does Swiftkey Keyboard lives up to its hype ? 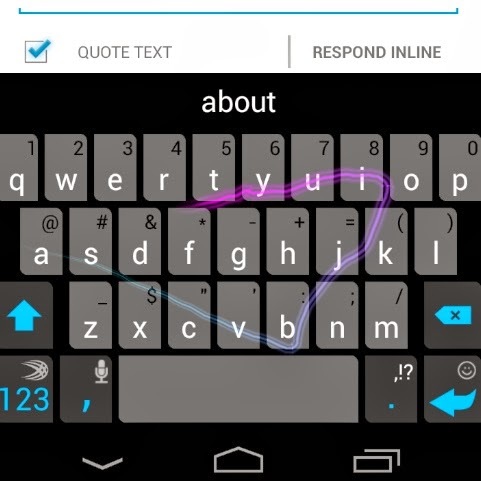 All of our reviewers were very impressed with Swiftkey Keyboard for Android, especially its multitude of features. The prediction engine works very well and the ability to create a custom work dictionary for completing the words the user uses most often turns out to be very helpful. The ability to use multiple language was also very helpful, it's quite interesting to note how many times we need to put it in a word from another language. However, Swiftkey Keyboard is not without some faults. Some of our reviewers had problems with some of the updates, losing their database of used words and phrases. A few others complained of the lack of emoji and smilies that are found on other keyboards. One or two reviewers also complained about the word prediction and personal word database in latest versions. However, it must be stressed that the almost unanimous opinion of our reviewers is that this is a great keyboard app and the rare problems are exactly that - rare. As a side note, the app puts a notification in the notification bar to remind you to rate the app. We consider this very poor manners and would urge developers NOT to do this. Score: 4.5. Most of our reviews believe this is a great app but some problems with latest updates prevented it getting a perfect 5. Description: A keyboard app with a great number of features. Good Points: Predictive word feature. Customizable word dictionary. Ability to transfer settings and dictionaries between devices. Tapping and flow key stroke features. Bad Points: Some problems with the latest updates prevented a very few of our reviewers from saving their customizable words or dictionaries. Longevity: The majority of our reviewers, the ones that did not encounter problems, kept using this app enthusiastically.